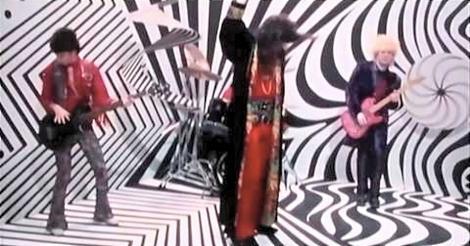 Well, you'll probably either love or hate this version of the Norman Greenbaum song. The original song was released in 1969 and sold two million copies. Since then it has been covered by several artists including Gareth Gates - remember him? 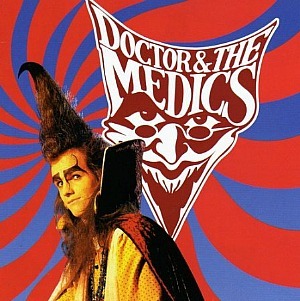 This version by Doctor and the Medics borrows heavily from the 70's glam rock era. It reached #1 in the UK during 1986, but only managed #69 in the U.S. 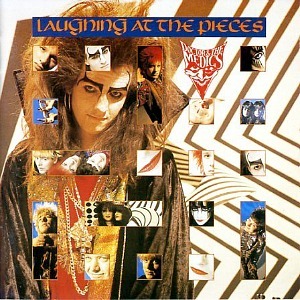 It featured on the album Laughing at the Pieces which was fairly successful, peaking at #25 in the UK album charts in 1986. 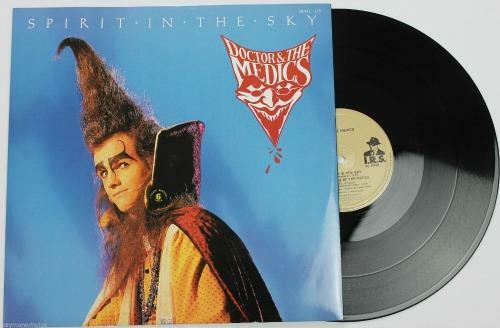 The Doctor (and vocalist) is Clive Jackson and the first single from the band was entitled The Druids are Here which was released in 1982. Sadly, follow-up singles to Spirit in the Sky failed to capture the public's imagination; Burn reached #29 and Waterloo (a cover of the ABBA song and featuring Roy Wood) didn't even reach the top 40, stalling at #45. The follow-up single to Spirit in the Sky reached #29 in the UK Charts, saving the psychedelic band from becoming another one hit wonder, at least!